KOMRA - a whole lab in your hand! KOMRA brings the functionality of lab spectrometers into a small handheld device powered by AI. 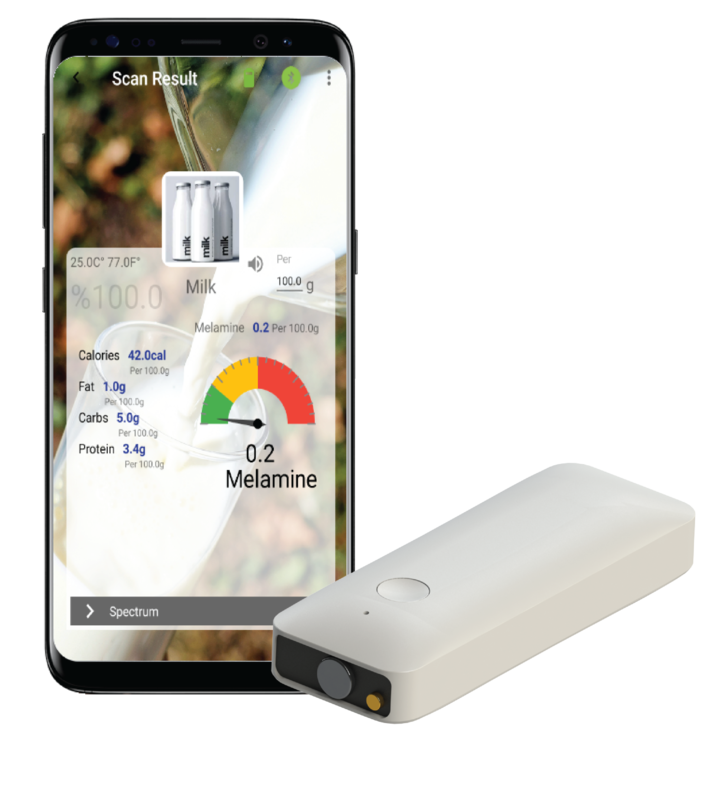 It's the world's first affordable hybrid spectrometer that you can use to analyze food and materials and display results instantly on your smartphone. Komra has an in-app machine learning platform with customized app builder to fit businesses’ requirements where identity and materials’ quality detection and assertion are required. 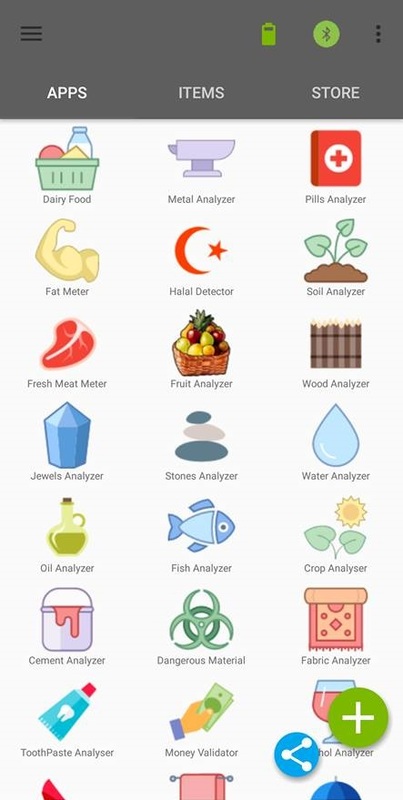 Komra mobile application can be used without any prior experience in spectral analysis. You just need to launch the app, select the the app model that you want to check and then point the device to the material and press. You will get the results at an instance time on your screen. Due to its AI; Komra can detect quality and contamination in different types of food with just one press and disply results in a clear way to users. It can be used also to extract the nutritional values and allergy possible conflicts. Komra brings four different sorts of physical molecular spectrometers into one tiny handheld device powered by deep learning; providing the most accurate material fingerprint . Komra NIR spectrometer has a high resolution of 1 nm in the whole near infrared range (900-2600nm); rendering it capable to detect and extract highly accurate and sensitive features from any material. Komravision provides governmental bodies with customized apps to detect prohibited materials in customs and dangerous liquids in airports and train stations. Komra can also be used to analyze alcohol levels for drivers. 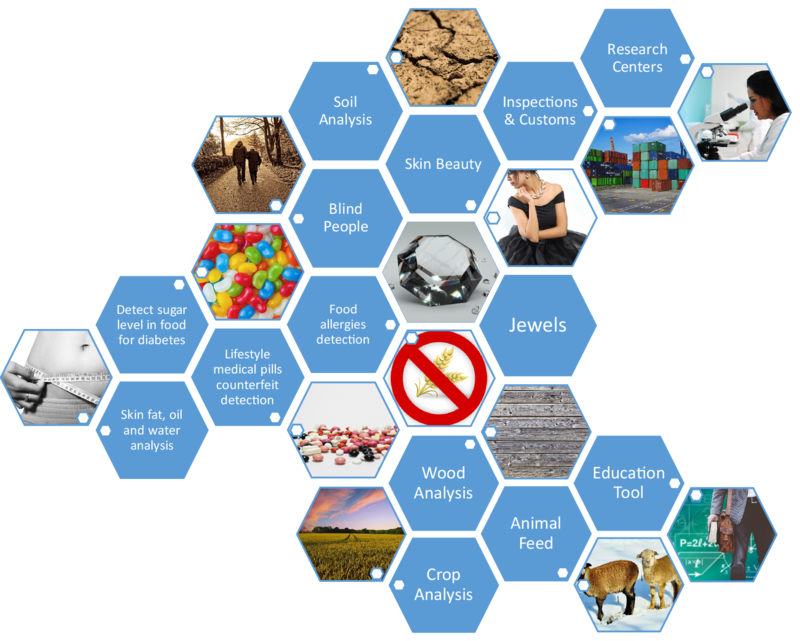 Komra app can analyze materials and display results in a few seconds. You don't need to be connected to internet. 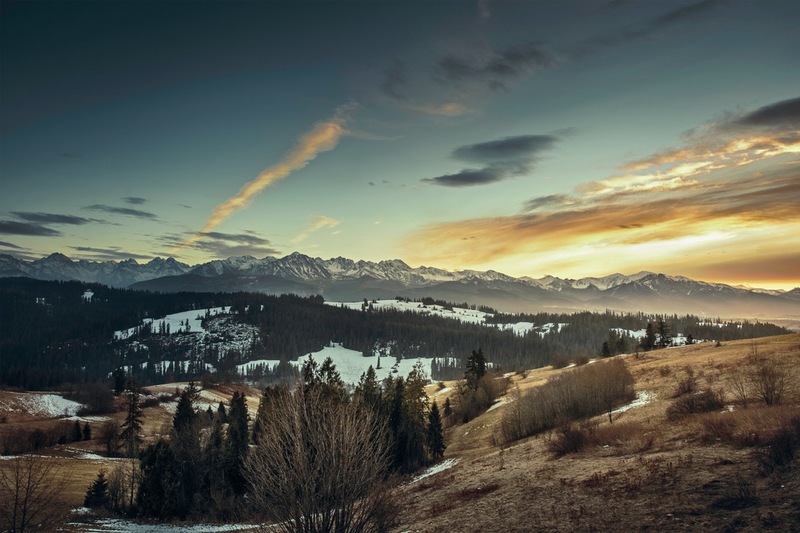 Extend your Komra application data models by downloading other people data models. You can also use the Machine learning platform in the app to create your own data model and put it in the store.